Can You Rip An Engine Out Using A Tow Strap And A Tree? What happens if you tie a heavy-duty tow rope around the engine of a car, then let it play tug of war with a tree? Will it rip the engine out? We’re guessing that’s not a question you’ve ever asked, but regardless, these guys gave it a go, getting some help with the maths from Engineering Explained. 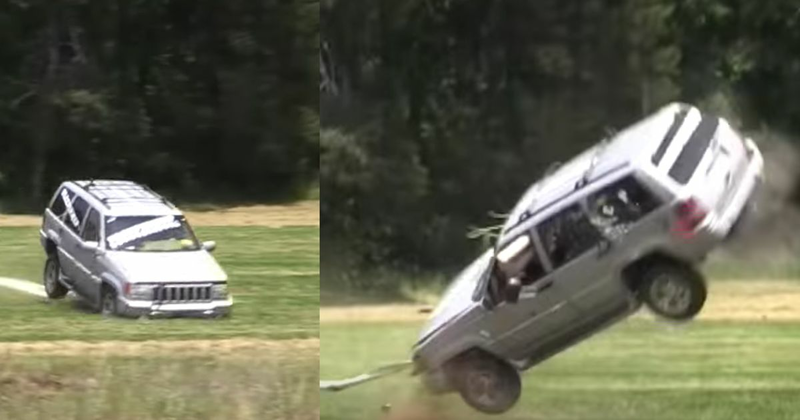 A 130 metre tow strap and an old Jeep Grand Cherokee were used for this attempt, and with the car doing 60mph at the crucial moment, the results are quite dramatic. Hit play to see what happens.